I wasn’t sure what to expect,and was concerned the value may not be worth the cost, but much to my pleasure, it far exceeded any of my expectations. It was a professionally blended mix of psychological training, mixed with nuts and bolts taught by Tony as well as experts he invited to discuss more technical strategies of business and marketing. The most shocking moment of the week came when a guest stood up and was attempting to challenge Tony to donate a free “Intervention” to their team…much to the man’s surprise, he became the recipient of the much needed impromptu intervention. The gentleman is currently out of money and was looking for an easy-button solution. Tony first gave him hope with a touching story of a friend of his who nearly committed suicide when he lost hundreds of thousands of dollars on the stock market. Tony then laid into into the audience member when he failed to state what it was he really wanted in life, and failed to detail the steps he needed to take to push himself to the next level. What Tony quickly identified was the gentleman’s lack of clear vision, and abundance of excuses. Tony said he was letting down his wife and kids and that he effectively needed to step up to life, in much less delicate of terms. The brutal honesty caught the entire audience off guard, but as Tony said, the audience member receiving the tongue lashing was merely one of many folks in the audience, myself included, who deserved this tongue lashing. Tony’s direct assault on our deepest ego protection mechanisms, which prop us up and tell us we have done our best and did everything we could…has the effect of poking a finger in that open wound we think no one can see, including ourselves, and he rips that lie open, enabling us to focus on the limiting beliefs and actions that really hold us back. At times it felt like Dad was sitting the entire audience of 1,500 down and putting us in our place and giving us the painful truth about ourselves that no one else is willing to tell us. His 6’8″ height helps the delivery, but ultimately it’s his cutting words, which slice to the root of our deepest fears, that ultimately free us from ourselves. I can’t wait for my next live event. I left the event with a dozen new friends that are all in the trenches of business, in many different places and industries around the World. Many of the seminars I’ve attended in the past are all one industry, such as real estate, but the cross pollination of different industries is possibly one of the best strengths of this conference. People are more willing to share their tips for lack of fear of competition, additionally, coming from different industries opens us up to a wider array of solutions that would normally be thought of from one industry. I left the end of the week exhausted but exhilarated to implement into my business. I’ve already started the indoctrination with my team as we go after our 2016 goals. I hope to report back our successes to you soon. John Paul DeJouria from Paul Mitchell, Patron and now Rok Mobile. Amazing motivational speaker and inspiration from his story, but ultimately, he said hard work is a key differentiation from most who succeed and those who do not. In addition, being thankful and enjoying your work. Keith J. Cunningham from Keys to the Vault – Amazing speaker about how to interpret financials and convert them from numbers to optics to make key decisions about your company. 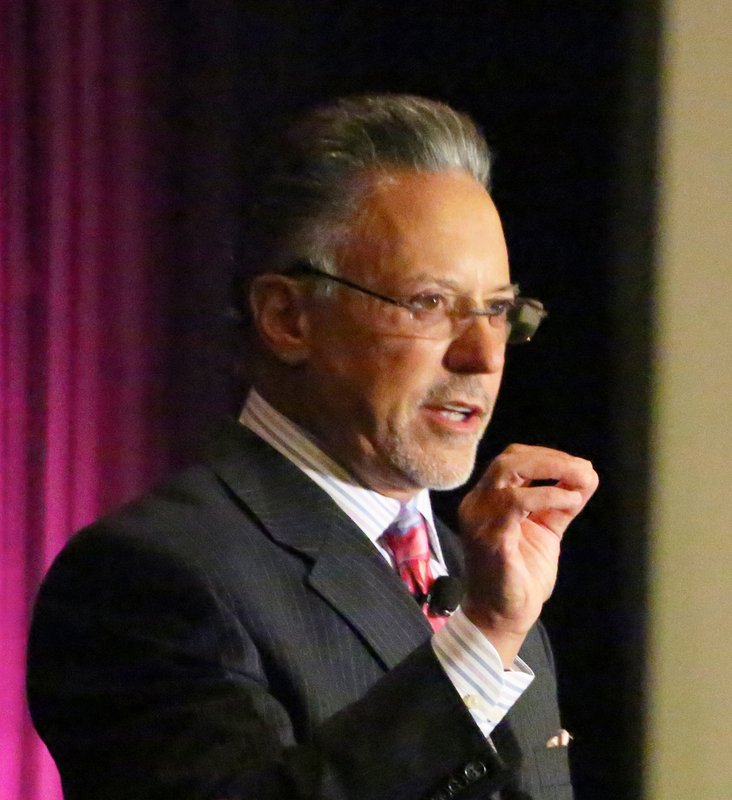 Jay Abraham who is an unbelievable marketer and creative genius in business. He has coached folks such as Tony Robbins, Daymond John, Stephen R. Covey and many more. He did a rapid question and answer during the seminar and probably answered 40 different entrepreneur’s questions and gave awesome answers to each person in a matter of minutes. Thank you for taking the time to read this blog. If you have any questions, please feel free to email me at roby@trubild.com, or leave a comment below.